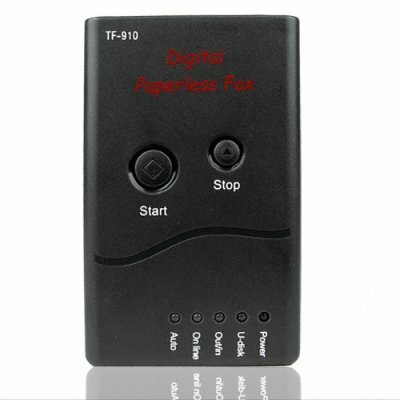 Successfully Added Paperless Digital Fax - Plug And Play to your Shopping Cart. New electronic way of sending and receiving faxes, Chinavasion presents this paperless digital fax machine that will turn your computer and normal land line phone into a high quality cheap fax machine that will send information to regular fax machines. With its easy to use plug and play design, needing absolutely no driver CDs to install, as well as powerful built in programs for editing and multi sending faxes among other features, this is a handy little computer accessory for any home or business. Why spend hundreds and thousands of dollars on bulky old fashioned fax machines when a simple land line, computer and this made in China gadget will send information from your computer to any fax machine all over the world?.